Fred Wilson of Union Square Ventures kicked off the morning with a Q&A post titled “Safe Harbors,” analogizing the future of startups to the present state of music startups, which face practically-insurmountable royalty fees. Brad Feld of Foundry Group proposed demoing the “slow lane” for a day, just to give consumers a taste of what’s in store if the FCC rule passes. Marc Andreessen of Andreessen Horowitz discusses the pros and cons of net neutrality. MIT’sTechnology Review says talk of an internet fast lane is already hurting some startups. Fight For The Future, which comes recommended from Fred Wilson, looks like it’s the next OWS (OFCC?). Google, Facebook, Amazon, Microsoft, Netflix, Twitter, and more penned a letter to the FCC to take a stand against the proposed measure. Lucas Matheson (pictured right) is the CEO and co-founder of pinshape, a 3D printing community that makes exploring, sharing, selling, downloading, and ordering 3D prints simple and fun. Lucas: We just love what 3D printing is doing for people, and want to help creative minds share and explore the magic of this technology. Soon, they’ll be 10’s of millions of 3D shapes online, and we wanted to build a community where people can explore interesting and relevant shapes to print! Lucas: We’ve just started with Batch 9 at 500Startups, moved to Silicon Valley, and launched pinshape.com. Lucas: We’re a team of 3! 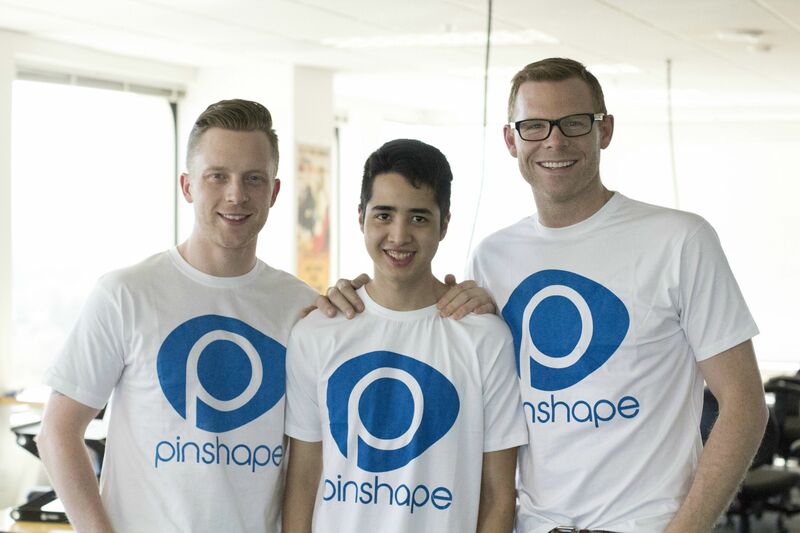 Andre is 21, brilliant, and lucky for us… Dropped out of University to join pinshape. Andre’s mantra is “The quieter I am… the more I can hear.” Yesterday he sat down at his computer and said…”I’m going back to the Matrix” – we believe him. Nick is an electrical engineer who loves hockey and dancing at weddings! Nick’s focused on reaching customers and figuring what people love/not love about pinshape (email him if you love/not love something on pinshape – nick@pinshape.com). Myself, I’m the dad of two beautiful boys, a trying husband, and I work on building awesome partnerships with interesting 3D tech companies for pinshape’s community. I’m also working hard to find exceptional 3D designers to help them upload, share, and sell models on pinshape.